Detailed information about preparations for the mission was kept under wraps by China. Furthermore, officials have not disclosed the exact flight profile for the Long March 11 booster. It was only revealed the vehicle targeted a Sun-synchronous orbit (SSO) for the release of its payload. 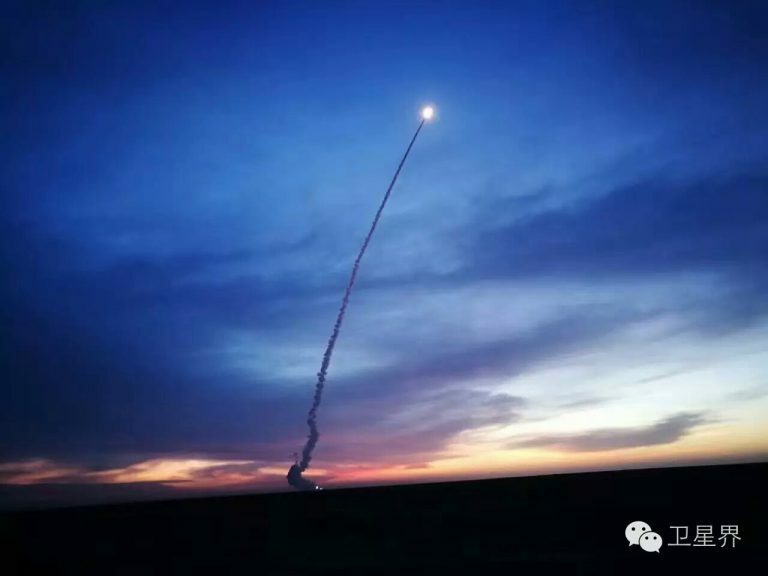 The launch was expected to be carried out on Nov. 11; however, China decided to start the mission earlier, making use of the rocket’s quick-reaction capability. The Long March 11 booster can be kept in storage for a long period of time and it only takes hours to prepare for the flight. Developed by the China Aerospace Science and Technology Corporation (CASC) Fifth Academy, the XPNAV-1 spacecraft weighs about 530 pounds (240 kilograms) and carries two detectors. The satellite is fitted with two power-generating solar arrays. XPNAV-1 will conduct tests of autonomous spacecraft navigation and more precise deep-space navigation by using the signals of X-ray pulsars. According to CASC Fifth Academy, the satellite will test its detectors’ functions in responding to the background noise of the universe, outline pulsar contours, and create a database for pulsar navigation. The spacecraft will run its tests at an altitude of about 310 miles (500 kilometers), inclined 97 degrees. This satellite is the world’s first pulsar navigation spacecraft. The technology that will be tested by this vehicle will be used to determine the location of a spacecraft in deep space. This method of navigation, based on X-ray signals emitted from pulsars, is known as XNAV. The new navigation technique is expected to provide a faster estimation of spacecraft location as current systems are limited by the time delay at great distances. XNAV is also seen as a cheaper alternative for a radio-based system as it would require reduced ground infrastructure. Additional cost savings would occur due to the fact X-ray telescopes can be made smaller and lighter. In comparison, current spacecraft navigation systems rely on a global network of large ground-based radio antennas like NASA’s Deep Space Network (DSN) and ESA’s European Space Tracking (ESTRACK). These networks require a spacecraft to communicate with ground-based systems for months or years, whereas XNAV would enable autonomous navigation and thereby minimizing the necessity of communication with Earth. Besides XPNAV-1, the Long March 11 rocket carried four CubeSats into space: Xiaoxiang-1, Lishui-1, CAS-2T, and Pina-2. They were inserted into the same SSO as the pulsar navigation test satellite. Developed by the Changsha Gaoxinqu Tianyi Research Institute in Hunan, Xiaoxiang-1 is a six-unit CubeSat weighing about 17.6 pounds (8 kilograms). It will test a small satellite stabilization system for precise, stabilized camera pointing. The spacecraft features two deployable fixed solar arrays and is expected to be operational for up to a year. Very little is known about the rest of payload. Lishui-1 is an Earth-imaging spacecraft designed to collect remote sensing data. CAS-2T is a two-unit student-built amateur radio CubeSat, whereas the details about Pina-2, operated by Aerospace DFH, were not released to the public. The Long March 11 is a small, solid-fueled quick-reaction launch vehicle developed by the China Academy of Launch Vehicle Technology (CALT). It uses the most powerful solid-rocket motor that China currently manufactures. It is mainly used for launching micro-satellites. The 68-foot (20.8-meter) tall Long March 11 measures some 6.6 feet (2 meters) in diameter and is capable of sending up to 1,500 pounds to low-Earth orbit (LEO) and 770 pounds to SSO. The rocket uses three solid-fueled stages with an auxiliary liquid-fueled upper module for precise insertion capability. The vehicle is launched from a launch tube mounted on a road mobile vehicle. China’s Long March 11 is the next in a line of launch vehicles being inaugurated by the country as part of the beginning of a major transition in rocket technology. The nation is switching from a toxic propellant combination to what they have described as environmentally-friendly propellants for medium and heavy-lift rockets and solid propellant for light-lift vehicles. Thursday’s mission marked the second launch of the Long March 11 booster and the 239th flight in the Long March rocket family overall. 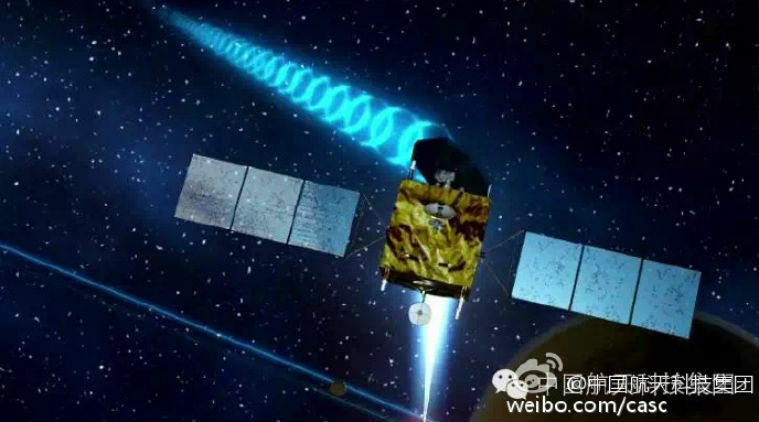 The first orbital launch of a Long March 11 took place on Sept. 24, 2015, when it sent three Tianwang CubeSats and the Pujiang 1 micro-satellite into space. China has conducted 17 orbital missions so far this year. The country’s next launch is scheduled for Nov. 11 when a Long March 2D rocket with the Yunhai-1 satellite is anticipated to lift off from Jiuquan. Moreover, at least three more missions are planned by the country by the end of 2016.